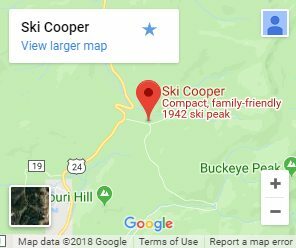 Take a snowcat ride to the top of Cooper for a delicious gourmet meal at the Ridgeview Cafe. 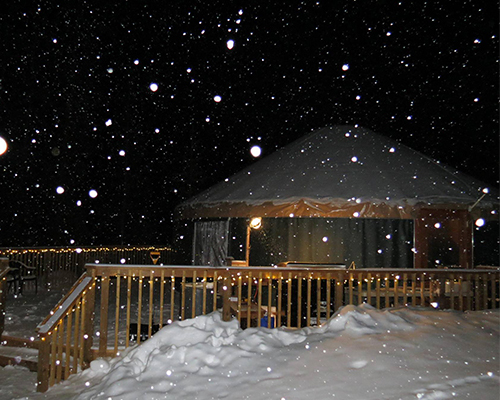 Your meal will be a pairing of locally sourced ingredients and local wines served in a cozy yurt. Choose between Salmon, New York Strip or Stuffed Portabella Mushroom for your entree. Return to the base by snowcat transportation. It’s an unforgettable experience! Meet at Katie O’Rourke’s Irish Pub at 5 pm. Return around 8 pm. Please call 800-707-6114 to make a reservation. *Cooked to Order NOTICE* CONSUMING RAW OR UNDER-COOKED MEATS, POULTRY, SEAFOOD, SHELLFISH OR EGGS MAY INCREASE YOUR RISK OF FOOD-BORNE ILLNESS, ESPECIALLY IF YOU HAVE CERTAIN MEDICAL CONDITIONS.